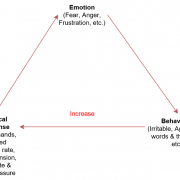 Breathing exercise, behaviour and emotions are three areas that are closely related. 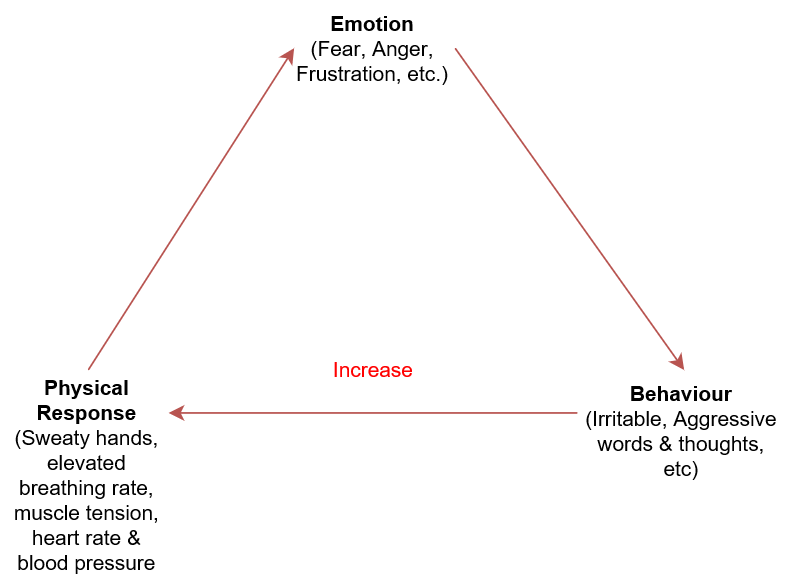 Behaviour is all about how we manage or conduct ourselves especially in regards to others and Emotion is our feelings towards things whether they be experiences, someone else’s action or you name it… you can have an emotion or feeling towards anything. 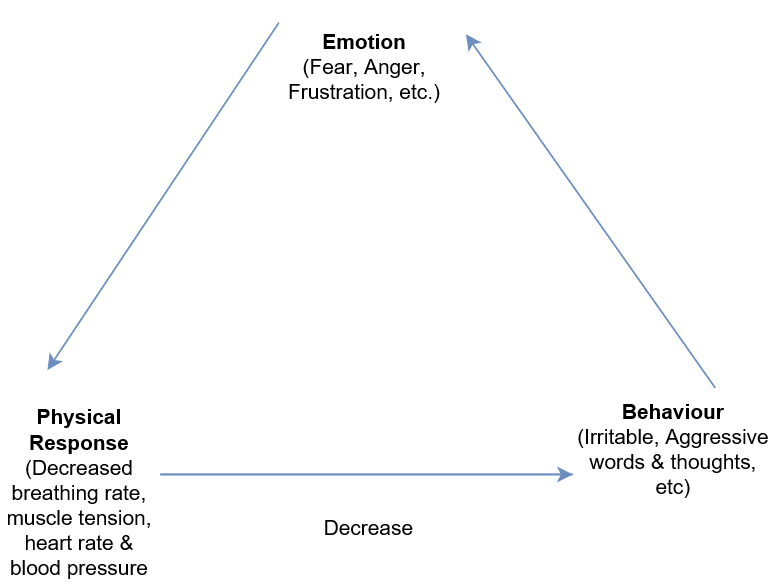 Either behaviour or emotions can work for or against us but how are they related and what do any of these things have to do with a breathing exercise? So what can we do about his whole situation other than making sure idiots aren’t allowed licenses? We could let it ruin our whole day, ruminating about it and how terrible everything is? We could try to adjust your emotions from someone nearly causing you an accident which wasn’t in your control? That sounds pretty damn difficult. We could possibly modify your behaviour and adjust those agitated thoughts and untoward words that you might have been using? Or there’s a third option. Change your physical response. Working backwards through this diagram, slowing your breathing down reduces the physical responses from the incident. It slows your heart rate, your blood pressure decreases and it slows down your nervous system. This calms your behaviour down, cooling down any of those agitated thoughts. It lets your body know that you are safe from danger so those feelings of fear, anger and frustration start to even out. Your back now to the state you were in prior to the near miss. Your still in the car, unhurt and the sun is still shining. Make the time to count your breaths and watch your behaviour and mood improve. Click here to learn more breathing exercise or make a booking to see our therapists who can help you.